Well, due to unforeseen circumstances, I still haven't had the chance to see The Cabin in the Woods (as I mentioned last week, it's a film I'm really looking forward to). Fingers crossed, I'll get to see it on Wednesday. My anticipation may have reached dangerous levels by then, but hopefully I''ll be able to get through the next three days without encountering any spoilers. Aside from gearing up to see TCITW, I've realised that it's been almost a month since I last did a top 10 list on this blog. I aim to rectify that situation in the near future - I just need to decide what my subject matter will be. I'm currently weighing up the respective merits of a top 10 Comedy movies, top 10 films set in LA and a top 10 Gangster pictures - one of those lists will be appearing on this blog sometime soon. For a guy I previously associated with acting in serious, dramatic roles, Liam Neeson appears to have changed his career path somewhat recently, and has become something of an unlikely action star. What with this movie, Taken and, er, Taken 2, he seems to be keen on roles in which he can head to a European destination and dish out a few beatings to nefarious locals. Anyway, this one has Neeson playing Dr Martin Harris, a successful American academic who has travelled to Berlin with his wife (January Jones) for a biotechnology conference. Before he can check his bags into his hotel, he realises that he has left a suitcase behind at the airport, and hails a cab back there so that he can retrieve his lost luggage. Unfortunately for Martin, he's involved in a near fatal car crash en route to the airport, and though his life is saved by the quick thinking of his taxi driver, Gina (Diane Kruger), he is knocked unconscious. He lapses into a coma, but on waking up he discovers that his place at the conference has been taken by an impostor - and that his wife no longer recognises him. In trying to solve this mystery, Martin stumbles upon a even bigger conspiracy, and with the help of Gina, aims to right some wrongs... I'd read some mixed reviews before seeing this one, but on the whole, I was pleasantly surprised. It's a thriller with an intriguing plot, some exciting set pieces and solid performances from Liam Neeson and Diane Kruger. There are some major plot twists here, though in order to avoid spoiling the story, I won't reveal them here. Although these twists do stretch plausibility to some degree, the frantic pace of the concluding part of the movie means that you don't really have too much chance to think about any inconsistencies in the plot until the movie is over. For me, the only major negative was the acting of January Jones: her work in this movie is almost unbelievably wooden, and nearly as bad as her breathtakingly awful performance as Emma Frost in X-Men: First Class. Now, I've seen her put in some really impressive work as Betty Draper in Mad Men, so I know she can act, but I'm damned if I can see any evidence of it in this picture. Fortunately, she's only a small part of this movie, and on the whole, this is a creditable thriller. Before Sam Raimi got the chance to make big budget superhero pictures (with his Spider-Man series), he took up the chance to try the genre out for size with this film, featuring a hero created by Raimi himself. 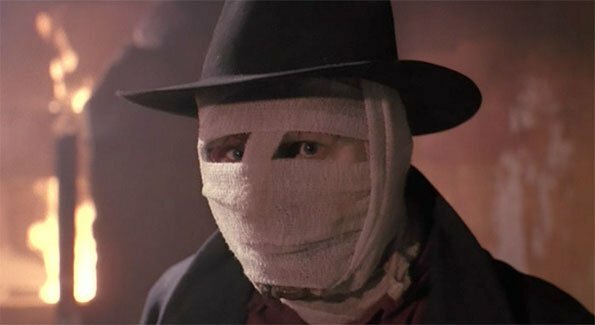 Darkman starts off life as a scientist named Peyton Westlake (Liam Neeson), who is badly burned and left for dead by a group of evil gangsters, acting under the orders of local kingpin Robert Durant (Larry Drake). Westlake survives the attack, but his burns have left him horribly disfigured and unable to feel pain. He plots revenge against the criminals who left him in this condition, using masks made out of a patented type of synthetic skin which disintegrates after 99 minutes... This is a film which I liked well enough while I was watching it, but it hasn't left much of a lasting impression on me. 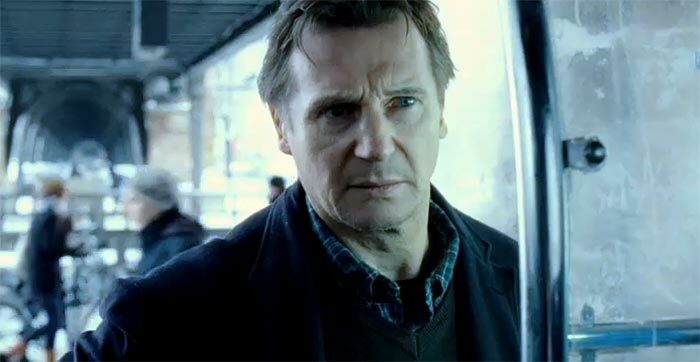 Neeson makes for a decent enough hero, and there's a pretty good supporting cast, who range from very good (Frances McDormand as Darkman's love interest) to pretty hammy (Colin Friels as villainous businessman Louis Strack). From a visual perspective, it's an interesting midway point between the charmingly handmade special effects of The Evil Dead, and the highly polished CGI work of Spider-Man and Drag Me to Hell. The movie certainly isn't anything like as impressive as Raimi's first two Spider-Man films, but then this film didn't have anything like as big a budget as those movies, and it's enjoyable enough if taken on its own terms. Way back in the '90s, before I'd even heard of the Internet Movie Database, I used Microsoft's Cinemania '95 as a research base for my growing interest in film. The CD-Rom was packed full of reviews from Roger Ebert, Leonard Maltin and Pauline Kael, and I was able to find many gems by scouring its archives. One film which was universally beloved by all of the Cinemania critics was Cinema Paradiso - yet for one reason and another, I never actually got around to watching it until this week. Did it live up to the expectations I've carried around in my head during that 15 year wait? Well, to be honest, probably not, but it's still a very good film all the same. It's a coming of age story in which Salvatore, a successful Italian film director, looks back at his boyhood and adolescence in a small town in Sicily. He grows from being an irrepressible little boy to a rather more levelheaded adolescent and finally to a rather repressed and numb adult in the present day. 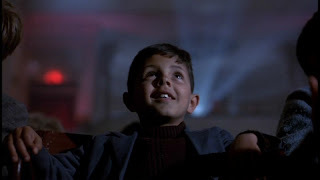 The common thread which connects these three incarnations of Salvatore is his love of cinema. Back in Sicily, he begins working at the cinema at a very young age, mentored by the wise and kindly projectionist, Alfredo, continuing this job as he takes over as head projectionist as a youth, and then becoming a director as an adult. I guess what's most interesting to me is that as Salvatore grows older and becomes more successful, he loses much of the vitality that he had as a child; as a 6 year old, he has almost nothing, yet is full of hope and joy - aged 50, he has the world at his feet, but seems withdrawn and lost. As I mentioned above, this isn't just a coming of age story - it's also a love letter to a golden age of cinema. One of the saddest sights in the movie happens towards the end, where the Paradiso is demolished. Thinking back to the carefree, raucous days in the '40s and '50s when the whole town used to spent their evenings in the picture house, you feel a great sense of loss for this bygone era. My only issue with this one is that the second half seemed a little rushed to me - we rush through Salvatore's teenage years, and never get so see how he makes his name as a director. I saw the 2 hour cut (rather than the original 3 hour version), which might explain why the concluding half of the film felt a bit hurried. Still, it's a fine film, but perhaps not quite worth the lengthy wait.